Mike Carlton is now distinguished by his own efforts with the pen as an able chronicler of the Royal Australian Navy, in two World Wars and in the brief interregnum of peace, 1919–1939. In both triumph (First Victory) and tragedy (Cruiser) Carlton charts the fortunes of the Australian Navy with a thoughtful eye and careful judgement. 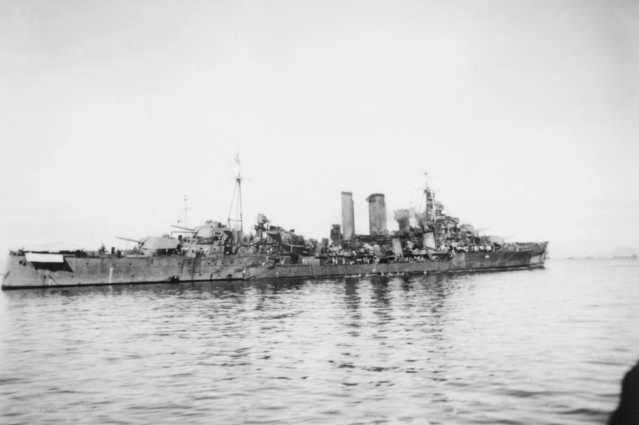 Carlton’s skills—together with his empathetic assessments of our naval traditions—are again prominent in his new book, Flagship: The Cruiser HMAS AUSTRALIA II and the Pacific War on Japan which details not only HMAS Australia’s Pacific War but that of HMAS Canberra and HMAS Shropshire, the flagship’s sister ships in battle, as well. Carlton originally came to attention as an oft provocative and frequently witty commentator with Fairfax Media and Sydney Radio. A man of the Left, controversy dogged him and a stint in London appeared to have been welcome to both Carlton and his critics. But his real contribution to Australian culture is to be found in his naval histories which hopefully will continue to be forthcoming. Flagship is an impressive book in a number of dimensions, from the establishment of the strategic context confronting Australia during the inter-war years to life aboard the cruiser, both in the Officers’ Wardroom and well below decks, through to wartime action from the Solomons to the Philippines. Carlton moves briskly and purposefully, with a clear determination to tell not only the story of Australia and her sister ships, but of the RAN at that point in our military history when imperial reliance upon Britain evolved into the challenge of alliance with the emerging power of the United States. If a single point on the chronology of our strategic history can be defined, then that actual moment was PM John Curtin’s open letter to President Franklin Delano Roosevelt in December, 1941, where the nation’s leader looked candidly to America for the future of Australian security. The fall of Singapore in February 1942, together with the Japanese bombing of Darwin, merely underlined Curtin’s real and justifiable fears and the accuracy of his immediate perspective, as the country faced an existential threat. ‘In the event of war with Germany and Italy, should Japan join in against us it would still be His Majesty’s Government’s full intention to despatch a fleet to Singapore. If we were fighting against such a combination never envisaged in our earlier plans, the size of that fleet would necessarily be dependent on (a) the moment when Japan entered the war and (b) what losses if any our opponents or ourselves had previously sustained. Carlton points out that the commitment was hollow. The Admiralty was already secretly sounding out the cautious Americans on the prospect of US intervention against the Japanese in the light of an Asia–Pacific War breaking out. Bear in mind, that as of July 1937, Japan had already launched an invasion of China, seeking to build further upon its brutal occupation of Manchuria. Note the reference to the supplementary role of air power. Tragically, that doctrine led to the deployment of inadequate Wirraways as front-line fighters, a mistake never to be repeated by Australia. 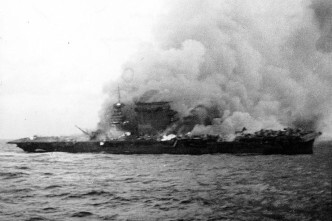 It also led to the sinking of Force Z in Malayan waters in late 1941. Carlton’s narrative is elevated by references to the heroes and the hopeless of the times; to the courageous and cowardly and the dedicated and drunk, be they Australian, British or American. Nonetheless, the names of very distinguished Australian naval figures, from Admirals to Able Seamen, emerge with great credit. The truly famous names—Collins and Crace; Dechaineux, Farncomb and Rankin, among others, are appropriately acknowledged just as the RAN has honoured them for their service. 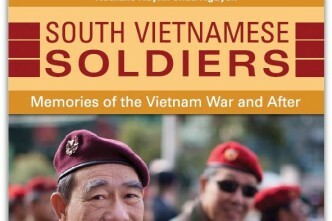 The best military history is written in a form which could easily translate into a novel. Carlton is a great fan of Patrick O’Brien’s novels of the Royal Navy during the Napoleonic Wars. Flagship reflects that inspiration, particularly in the battle scenes from Savo to Leyte and Lingayen, not to mention the account of the Japanese midget submarine raid in Sydney Harbour in May 1942. The author laments the fact that there may never be an Australia III, to continue the line of her illustrious predecessors. He muses on that as HMAS Canberra III (an LHD) is commissioned in 2014 at Garden Island. The end of the line of HMAS Australia might have been reached, but if it’s not, the new realities of the Australian strategic context mean that HMAS Australia III, might not be one of Mike Carlton’s beloved cruisers but may well be a submarine. Stephen Loosley is a senior fellow at ASPI and the book review editor of The Strategist. He served as chairman of the ASPI Council from 2009-2016. Image courtesy of the Australian War Memorial (300282).